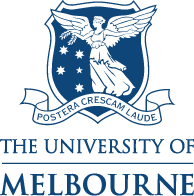 Led by the University of Melbourne’s Department of Psychiatry, AAMH works with leading research institutes in the Asian region to build capacity and develop collaborations across biological, applied and translational psychiatric research. A global first, the Centre will provide PhD student traineeship, build research capacity and collaborate on cutting edge research projects. Since 2006, AAMH has built linkages between The University of Melbourne’s Department of Psychiatry and Japan’s National Center of Neurology and Psychiatry (NCNP). Read more about the Japan-Australia collaboration in research. Established in 2013, the ASPIRE network aims to build capacity for mental health services research in the Sub-Mekong. Read further about this important research network for the region. AAMH regularly publishes in respected peer-reviewed journals across the Asia Pacific region. AAMH also produces leading reports and thought-pieces for regional bodies such as WPA, CHOGM, and APEC. View and read AAMH’s research.